Olympus Towing is a licensed, certified, and duly recognized towing company that operates in Pasadena, California.  With a number of satellite offices all over California and the rest of the country, our company aims to be the top-of-mind towing company when customers think of affordable accident removal services that are also of high quality. Available 24 hours a day, 7 days a week, it’ll only take us 30 minutes to reach a customer’s location in Pasadena after receiving a phone call. Our customers don’t have to worry about call waiting because we quickly redirect the calls from our hotline to customer service representatives that will inform a tow truck driver or roadside assistance specialist of a customer’s details and location. After doing this, our dedicated drivers and specialists will be in charge of logistics and routing options to get to the customer in the quickest way possible and provide the service needed. God forbid you get into a car accident, but if you do—you know who to call. We provide complete accident removal services to all customers in Pasadena, California, 24 hours a day, 7 days a week, all year long. We’ll tow your vehicle to the nearest automotive repair shop or service center, and we’ll be in charge of the road cleanup while you call your insurance company. If you have questions, comments, suggestions, or concerns, our phone line is always open! If you’ve recently availed of one of our services, we encourage you to call us and give a review or testimonial.